Derry City Council (Irish: Comhairle Cathrach Dhoire; Ulster-Scots: Derry Cittie Cooncil) was the local government authority for the city of Derry in Northern Ireland. It merged with Strabane District Council in April 2015 under local government reorganisation to become Derry and Strabane District Council. The council provided services to nearly 108,000 people, making it the third-largest of the then 26 district councils in Northern Ireland by population. The council was made up of 30 councillors, elected every four years from five electoral areas and held its meetings in The Guildhall. The mayor for the final 2014-2015 term was Brenda Stevenson of the Social Democratic and Labour Party, with Gary Middleton of the Democratic Unionist Party serving as deputy mayor. 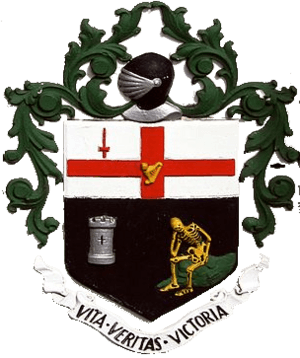 Londonderry City Council became Derry City Council in 1984 when it changed the name of the district it governed. (See Derry/Londonderry name dispute.) The district was formed in 1973 under the Local Government (Boundaries) Act (Northern Ireland) 1971 and the Local Government Act (Northern Ireland) 1972 by merging Londonderry county borough and Londonderry rural district, which had been jointly administered since 1969 by the unelected Londonderry Development Commission. The rural district covered an area around the county borough, roughly corresponding to the baronies of Tirkeeran and North West Liberties of Londonderry. The Development Commission, formed with the aim of creating a "new town", replaced both Londonderry Corporation, which had run the city since 1613, and Londonderry Rural District Council, which dated from the Local Government (Ireland) Act 1898. The most popular theory about the skeleton is that it is that of a Norman De Burgh knight who was starved to death in the castle dungeons in 1332 on the orders of his cousin the above-mentioned Earl of Ulster. Another explanation put forward was that it depicted Cahir O'Doherty (Sir Charles O'Dogherty), who was put to death after Derry was invested by the English Army in 1608. From 1973 elections to Derry City Council were conducted under the single transferable vote system, and are normally held every four years. Elections took place in five electoral areas, the boundaries of which were changed for the 1985 local elections, when the number of councillors was increased from 27 to its final figure of 30. †Unionist parties fought the 1973 elections in an electoral pact, as United Loyalists. Of the 9 councillors elected under this label, 5 contested the 1977 elections for the UUP, 1 for the DUP, 1 for the Vanguard Unionist Progressive Party, 1 as a Loyalist, while one councillor did not stand again. Derry formerly had a Shadow Council for young people, from about 1999 to 2008. This was made up from 16- to 22-year-olds elected from geographical areas in the city, as well as interest, political groups and also LGBT community groups. The Shadow Council worked in cooperation with Derry City Council and selected a "Junior Mayor" as its representative to the media and public. 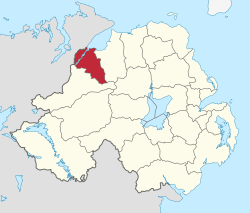 The area covered by Derry City Council had a population of 107,877 residents according to the 2011 Northern Ireland census. Derry City Council Facts for Kids. Kiddle Encyclopedia.